Have you ever felt the feeling that you were being watched? That slow niggling feeling crawling up the back of your neck? You cast your eyes around behind you, willing some shape to form out of the darkness. Something, anything to explain the sensation away. But there is nothing in the black. No sounds alert you to the fact that you are being stalked. Still, your skin crawls and you can't relax. The primitive anticipation of danger is especially intense when you're alone in the country. What is it out there? A coyote? A bob cat? A cougar? A Sasquatch? A bad case of reading too many Lets Not Meet stories on Reddit and being somewhat convinced that there is a deranged person living in the barn loft that you wouldn't even know about until the jump down and attack you from behind? Okay, probably not those last two, but Tuesday night I definitely knew something was off. I shrugged it off as my overactive imagination, or perhaps being watched by an opossum. It was dark. I was at my parent's home feeding chickens and playing the ever popular "try to count black cows in the dark" game. I had just started pouring grain for the horses and stepped out of the grain room to grab a bag of sweet feed when I saw her. She peeked her head out of the inky black and into the light of the horse barn, causing me to scream like a little girl and experience heart palpitations. 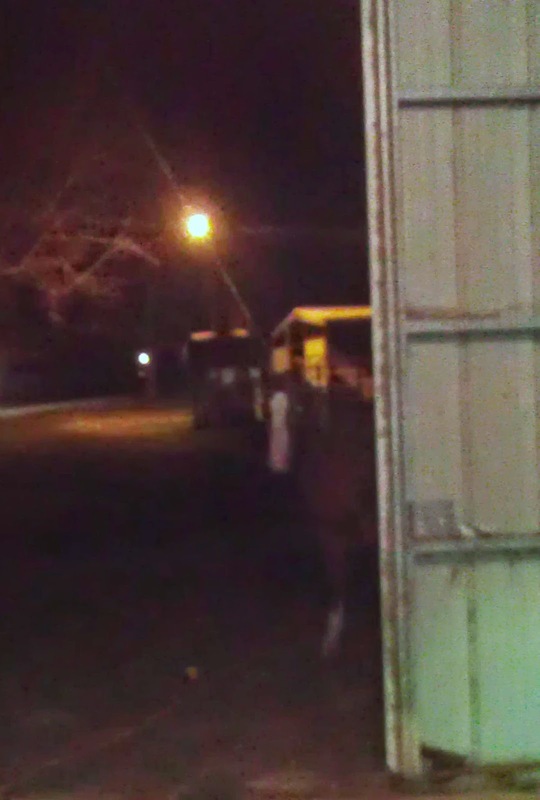 All that was visible was her white blaze, as my scream caused her to turn tail and run. I ran from the barn to find, nothing. She had vanished again. How 1,200lbs of horse can be COMPLETELY SILENT, and invisible is the mystery of the week. Meet the creature that stalks you at night, Zippy. The horse ninja. Schrodinger's horse. If you put a horse in a fence, but don't see the horse; does the horse cease to exist? No, the fence ceases to exist. . .
Screw the cat who walks through walls. She is Zippy, the horse who walks through fences!